KIPP Believe College Prep on South Carrollton is headed to a new school building in Gentilly, and Benjamin Banneker Elementary in the Riverbend is slated for a new campus in Hollygrove, according to school assignment plans being aired publicly by the Recovery School District this week. Those two changes are the most significant for Uptown campuses among the recommendations that the RSD will be hosting public hearings on this week. Many other RSD schools around Uptown will essentially be unaffected, and some of the higher-profile schools run through the Orleans Parish School Board are not included in the list. 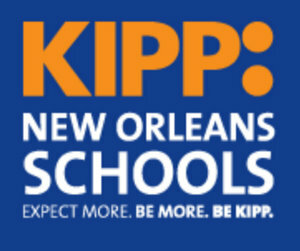 KIPP’s highest-performing middle school, KIPP Believe College Prep, is slated for the old Stuart Bradley site on Humanity Street just off Interstate 610, where one of the city’s new $22.5 million school buildings will be constructed from FEMA money. The move will leave its current site, the McNair High School campus on the corner of South Carrollton and Birch, as an “opportunity” campus — suitable as a temporary site while another campus is being renovated, but not slated for any renovations or long-term assignments itself. Likewise, the Banneker school is slated to move to the old Dunbar elementary site on Forshey Street just off Airline Highway in Hollygrove, where a $22.3 million building is planned, leaving its current site on Burdette as an opportunity campus as well. Banneker, a direct-run RSD school, has seen its scores slowly but steadily grow from 54.5 in 2008 to this year’s 66.5, just above the 65-point threshhold for a “D” grade rather than an “F” — but that benchmark will rise to a 75 next year. The recommendations apply to 60 school programs around the city, but the remainder of the Uptown programs on it are either unaffected or receiving changes that they essentially expected. The Crocker, Harney, Samuel J. Green, Lafayette, Andrew Wilson and Sophie B. Wright programs will all be in the schools they are named for. The two ReNew schools, Batiste and SciTech, will each remain in their current locations, the Live Oak and Laurel buildings in the Irish Channel. KIPP Central City Primary, an elementary school, will remain at the Guste site on Thalia, and KIPP Central City Academy, the middle school, will move to the new Woodson campus under construction on Third Street. Johnson Elementary in Carrollton will either remain in its current building or move to the Priestley site, depending on the cost of the move. Larger questions remain open for the Orleans Parish schools. Lusher Charter School has been seeking a new building since adding two new sections of kindergarten at the Jewish Community Center last year. Audubon Charter School currently has students housed in the old Carrollton Courthouse, but that assignment is considered temporary as well, and both Audubon and Lusher would like to move into the Allen building at Loyola and Nashville that will be vacated when SciHigh receives its new building in the medical district. Benjamin Franklin Elementary is also seeking new space, and this year was slated to begin expanding into the old Arthur Ashe site on Nashville Avenue. The RSD has said its decisions will be made final in December, though it is unclear whether Orleans Parish School Board will follow the same timeline. The public hearing for schools in Uptown, Carrollton and Central City neighborhoods will be at 6:30 p.m Wednesday (Nov. 16) at Langston Hughes Academy, 3519 Trafalgar St. Schools in Mid-City and Lakeview will also be discussed at the meeting. Lycee Francais nearing deal for new school building Jean-Paul Villere: Demolition Disparity — Double Standard or Dollars and Sense?